Are you looking for professional Garden Rubbish remover to take out all the clutter in your garden? Is your garden looking more like a forest rather than a place of serenity? Are you afraid to step in your garden because of the creatures you imagine might lurk there because of the shrubs and bushes? Then it is about time to get professional help from Rubbish Taxi. Rubbish Taxi is the best garden removal service in Sydney. We are the best team for your garden rubbish removal services in the Eastern Suburbs, Sydney CBD, North Sydney and Inner West. We have a dedicated crew that has been trained to remove any rubbish at any cost. All our equipments are state of the art and will be able to address your removal needs. If you are in doubt that your garden will not become a cozy place to spend the afternoon, then you definitely need our help to clear out your garden rubbish. Our prices are competitively cheap. We guarantee that we offer the cheapest price in the area without compromising the quality of service. We will give you an onsite free quotation on the garden rubbish removal service we offer. You will not be disappointed with our offer. We will make sure that our price is reasonable enough for you to become a loyal client. 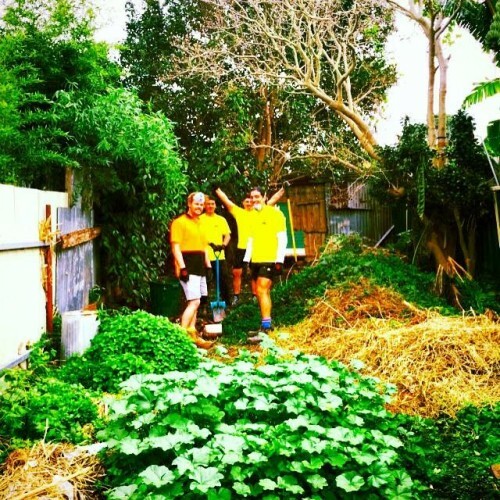 We have been in the garden rubbish removal industry for more than 7 years and counting. Our dedication and commitment to our field has extended not just in our local vicinity but because clients have been satisfied with our service, we cater to more areas. Our CEO and Co-Founder made it the mission of the company to help every household or office become a better place by removing unwanted rubbish. Call Rubbish Taxi Services for your garden rubbish removal now and get a free quote.